Everybody knows that wind power is variable, which can be troublesome for a society that needs reliable power all day, every day. When inquiring minds ask whether wind power can ever be a reliable energy source for the U.S., we’re soothed by calm assurances that better transmission networks and wider geographic dispersion can overcome the variability with no fuss, muss or bother. Occasionally, however, the facts are too glaring to ignore and somebody needs to insist on a reality check. Today is one of those days for me. The Bonneville Power Administration, or BPA, operates in the Pacific Northwest. It has a geographic footprint of 300,000 square miles, it manages electric power generation and distribution in Washington, Oregon, Idaho and Western Montana, and it exports more than half of its power production. In The All True April Fool’s Edition of the Department of Energy’s Blog, the following graph tracked the BPA’s regional load and power production for a period of seven days. Wind power, a quintessential favorite of renewable energy advocates everywhere, is the green line at the bottom of the graph. 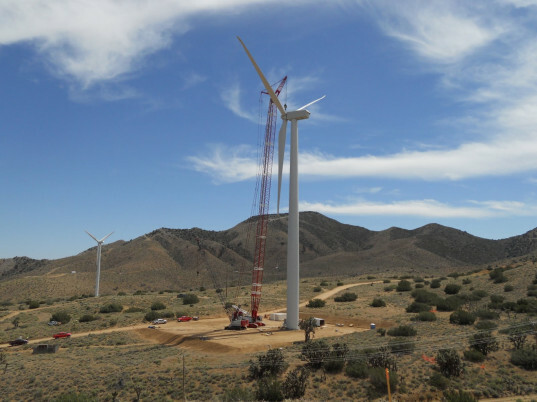 The notes to the graph put the installed wind power capacity in the BPA region at 3,522 MW, which is about 10% of the nameplate wind generating capacity in the United States. At first glance, the graph told me that wind power was not quite as stable and reliable as advocates would have us believe, even with widespread geographic distribution. 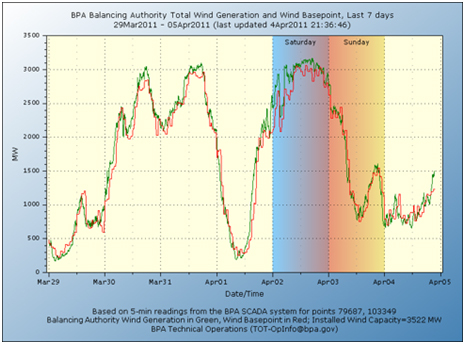 That realization sent me scampering off to the BPA’s website where I found a second graph that provided comparable tracking data for wind as a stand-alone power source in the BPA region over the last seven days. The only words I can think of that fairly describe the variability of wind power in the BPA region are shocking, obscene, alarming and random. The average may provide for interesting sound bites, but it would have been cold comfort to any home or business that relied on wind and thought that having enough electricity on Tuesday and Friday of last week and Monday of this week mattered. I usually write about the energy storage sector, an industry that expects to generate billions of dollars in revenue from systems that smooth the minute to minute variability in renewable resources like wind and solar. The storage sector is making some real progress, but it is decades away from systems that can cope with variability of the magnitude the BPA reported over the last week. We all want to believe things will work out for the best, but until somebody can provide comparable tracking data on a national basis that eliminates the incredible variability reported by the BPA, I’ll have a hard time swallowing happy talk about better transmission and more widespread geographic distribution. Wind may be clean and it may be green, but it can’t be the basis for an advanced industrial society. 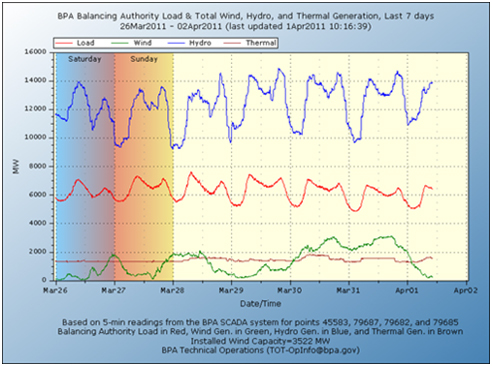 Until somebody provides reliable daily and hourly variability statistics that show the national experience will be remarkably different from the BPA experience, I have to believe that wind power is a luxury no industrialized society can afford at more than a token level. We’ve been spoon fed eco-religious pablum that conflicts with the undeniable truth of wind variability for far too long. There’s no question that the minute-to-minute variability of wind will provide ample opportunity for companies like A123 Systems (AONE), Ener1 (HEV), Altair Nanotechnologies (ALTI), ZBB Energy (ZBB) and Axion Power International (AXPW.OB) to prove the economic value of their technologies for short-duration wind integration. Until somebody develops and deploys gigawatt-hour scale energy storage systems that can cope with the day-to-day variability of wind, I have to believe investments like the First Trust ISE Global Wind Energy Index ETF (FAN) and PowerShares Global Wind Energy Portfolio ETF (PWND), along with a host of publicly traded wind power stocks, should be avoided. Disclosure: Author is a former director of Axion Power International (AXPW.OB) and holds a substantial long position in its common stock.